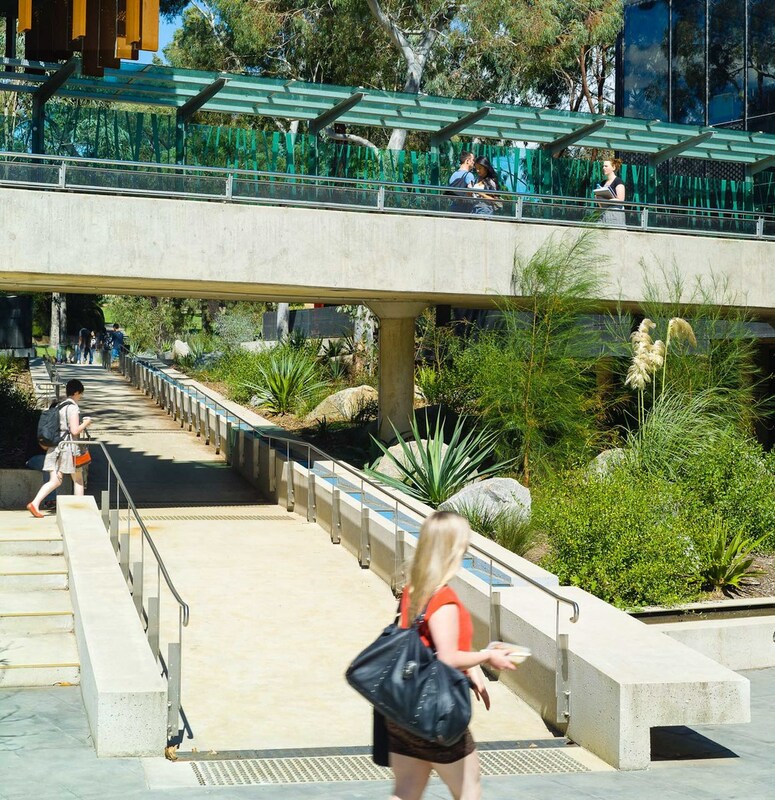 This highly-successful project was Six Degrees’ third project for Deakin University and was of key strategic value for the University. 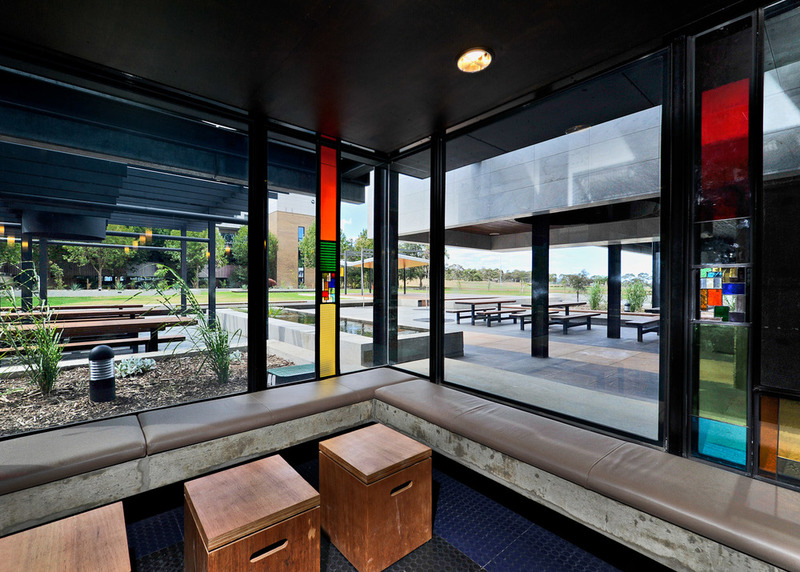 The brief for this project was to create an active and engaging ‘central precinct’ for the Waurn Ponds Campus. It involved the upgrade and rebuild of the central campus area, creating a social hub for staff and students. The precinct incorporates various hospitality outlets and breakout spaces that open out on to a central landscaped area at the heart of the site, setting the stage for an interactive and enjoyable life on campus.The design brief was to de-institutionalise the area and bring it to life with activity at all hours. We drew on our extensive experience in hospitality design to create a vibrant, social place attractive to the diverse demographic of the campus. Students are given multiple opportunities to engage with and occupy the spaces, encouraging them to remain on campus and stimulating a collegial atmosphere. The facilities were specifically designed to make use of the surrounding landscape, with new access routes created through the landscape and buildings to allow equal access for all.